With breathtaking cinematography, artful direction, a compelling soundtrack, a skillful screenplay, and powerful acting performances, “Paris, Texas” is not only an all-around great film but also, exploring many classic American road movie themes and taking them in new and fascinating directions, it is an ideal representative and innovator of the genre, as well as a top contender for the best road movie of all time. 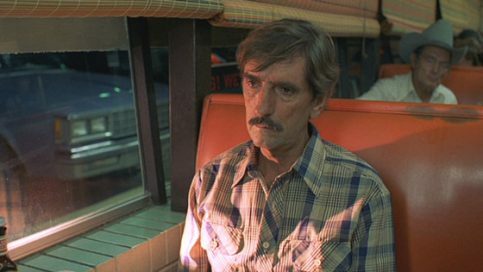 There are many instances in “Paris, Texas” when Travis Henderson’s journey aligns with what is known as “The Hero’s Journey”, a narrative model used as far back as “The Odyssey”, and often employed by the road movie genre, in which a protagonist goes on a journey, must overcome a great challenge, and returns transformed. “Star Wars”, an often cited Hero’s Journey, is a great example of this style of road movie. The Hero’s Journey typically includes, amongst other things, a character that calls the protagonist on a quest, an initial refusal of that call followed by acceptance, the aid of an ally, the protagonist’s final acceptance of the journey, trials and temptations, an ultimate climactic challenge, and the hero’s return, all of which are elements of Travis’ journey as well. Unlike many Hero’s Journeys, the goal of Travis’ quest constantly changes; from recovery of his past, to reunion with his family, to reconciliation of his sins. When he eventually succeeds in his mission to find Jane and she is employed at a peep show, his jealousy interferes with his ability to show her love, and he copes by drinking himself into a stupor. We later find out, in the film’s famous monologue scene, that the initial destruction of the family was caused by Travis’ jealousy, insecurity, and alcoholism. When Travis encounters her at the peep show, he realizes that these demons are still within him, and therefore sacrifices his own desires for the happiness and reunion of Jane and Hunter. 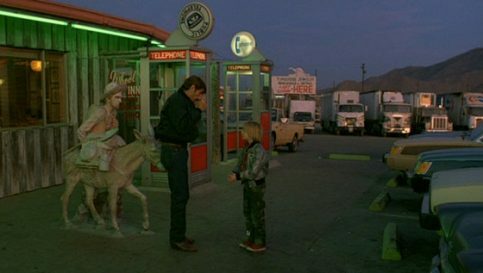 It is essential to the Hero’s Journey for the protagonist to return transformed in some way, and in “Paris, Texas”, Travis’ epiphany forces him to look inside himself and make a change. Historically, the Hero’s Journey is partly a metaphor for existential and spiritual journeys and awakenings that ask larger questions about human desire, love, fear, dying, and identity, as is the journey in “Paris, Texas”. Travis, who acts and speaks like a child, and sees everything through the eyes of a child, reexamines and returns to his past with a fresh perspective. In some ways, he wants to return to the womb, to the mother, both his son’s mother and the divine mother, which may take the form of death or the redemption of his past. From the conversations he has with his son about the Big Bang and the Theory of Relativity to his desire to return to the place where he was conceived, the film is full of subtle meditations on death, time, alienation, aging, mortality, connection, and the human condition. Wim Wenders is an acclaimed German art-house director and prominent figure of a cinematic renaissance that appeared in Germany between the 60s and 80s known as the “New German Cinema”, which included such influential and idiosyncratic directors as Werner Herzog and Rainer Werner Fassbinder. 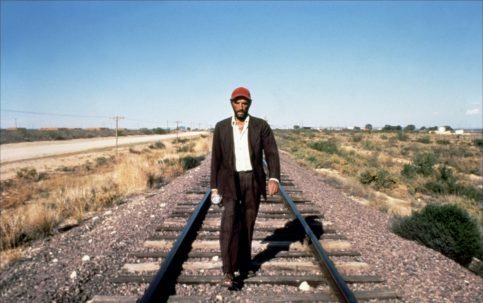 By the release of “Paris, Texas” in 1984, Wenders had made a number of mostly well-received films, mainly on the fringes of cinema, including “The American Friend” and “The State of Things”, and including, between ‘74 and ‘76, what came to be known as “The Road Trilogy”, a series of road movies that would inform his eventual direction of “Paris, Texas” and help him to perfect his usage of the genre. 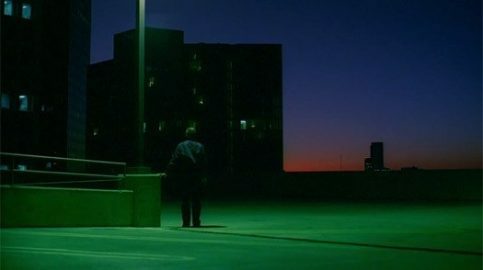 Unlike in Wenders’ earlier and later work, in “Paris, Texas” the camera does not draw attention to itself or intentionally try to be art-house or avant-garde in any way. It is not shot in black and white, like many of his earlier and later films, and it is not overly stylized. Using an uncharacteristically restrained style, Wenders creates a window into the world of Travis that is totally accessible and unpretentious and the rest of the film including the actors, score, and screenplay, follow suit. As Wenders said in a later interview: “Everything was done just to tell the story as best we could,” and it shows. For example, the moment when Travis slowly reveals to Jane his identity at the peep show, the camera cuts to Jane’s face inside the booth right at the moment when her uncertainty turns to certainty and she knows she is speaking to Travis. It’s these subtle choices and camera movements that tell us everything we need to know about what each character is feeling and thinking without being overt, and allow us to connect with the action without excessive mediation from the camera. It’s refreshingly raw. “I think the reason why ‘Paris, Texas’ turned out so well,” said Wenders “is that it sprung completely and totally from the characters and the actors”. This movie is filled from beginning to end with every possible kind of transportation imaginable. As a road movie, clearly, a lot of the action is going to take place in cars, but even when they are not in a car, there are conversations about cars, conversations about spaceships, shirts with bicycles on them, loud train noises in the background, loud helicopter noises in the background, scenes about planes, scenes about shoes, scenes about walking, shots of galloping neon horses.. the doctor thinks Travis was recently in a car accident, Travis’ father died in a car accident, part of the home movie they watch takes place in a car, and when Hunter goes off to cry he sits in the car and pretends to drive. Even when a character is not actively mobile, they are talking about transportation. This saturation of constant mobility reflects the inner workings of the protagonist, who is constantly searching for his family, for the home he lost, and for answers. It is only when he finally confronts Jane in the peep show that everything suddenly becomes still, and that juxtaposition is part of what makes the climactic scene so powerful. His outsider’s glimpse into the stable domestic life of Walt’s family, which is also comparatively still, reminds him of the stability he both longs for and can never belong to. Travis comes from the road at the beginning of the film and returns to the road at the end, and uses the road as both a means of escape and a means of pursuit throughout. “Then he ran…” He says, describing the moment he leaves his family and goes into self-proclaimed exile. “He just ran. He ran until the sun came up and he couldn’t run any further. And when the sun went down, he ran again. For five days he ran like this until every sign of man had disappeared.” He can’t find the strength within himself to change, and so his only option is to escape. The film follows what Wenders has described as a “linear fall”. 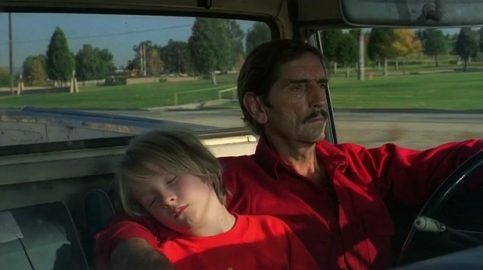 In road movies, it isn’t just time that moves the action onward, it is space, which is why it’s appropriate that Travis’ son is interested in Relativity. Travis fears flying because he is “afraid of falling”. Perhaps it’s the speed of acceleration through space, and therefore the faster passage of time towards entropy that fills Travis with fear, or perhaps it’s the metal shell of the plane from which he knows there is no option to run away. Like Wim Wenders’ direction, the acting in “Paris, Texas” doesn’t put on any airs. It is direct, unpretentious, and raw. 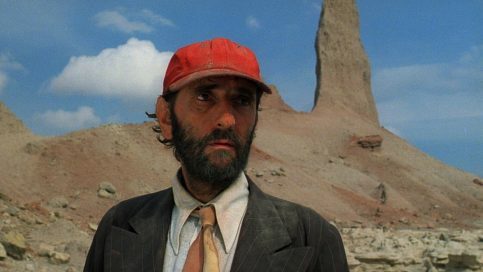 Harry Dean Stanton, who played Travis, has played in an incredible array of important films over a long career, and hadn’t been given a chance in a lead role until “Paris, Texas”. Quite unusually for a main character, Travis barely speaks for the first half of the film, and even when he does, it’s fairly sparse. From the driving scenes with his brother, to the home movie scene, to the pantomiming walk home with his son, most of the acting is in his body language and facial expressions, and only at the climactic scene is language used as the primary form of expression, delivered masterfully by both actors. It’s never fully explained why Travis seems to have suffered trauma or memory loss, other than a complete nervous breakdown following the escape from his past, and bodily neglect and dehydration, but the character acts like a combination of an alien that just landed on earth, someone who has time-traveled from the past to the present day, and a small child, and Stanton makes some incredible choices in his body language to communicate this child-like naivete. Although he seems to be in a kind of trance, there is an obvious internal logic at work in Travis’ own mind that justifies his actions, and it’s a brilliant choice by Stanton that Travis walks across the desert, not like a zombie, but with real energy and purpose, as if there is nothing unusual about it at all. Nastassja Kinski, the German actress, who played Jane, has only a few scenes, but her role is incredibly important to the film’s emotional impact. Finding her is the objective of Travis’ journey, the entire plot is building towards it, and it is fundamental to the plot’s intimate and pivotal monologue scene, during which the camera does not leave the actor’s faces. It is purely driven by the characters, the lines, and the acting, and every artistic choice is there to support our complete immersion in their experience. Jane, who is made incredibly vulnerable by the one-way mirror, is at first doubtful, then skeptical, then certain that the man behind the glass is Travis, and Kinski does an incredible job of showing the barrage of thoughts and emotions the character must be experiencing with every moment, as Travis’ identity is slowly revealed. Hunter Carson, Dean Stockwell, and Aurore Clément who play Hunter, Walt, and Anne respectively, are also incredible supporting actors. Earning a Young Artist Award for his performance, Hunter Carson seems so natural and genuinely childlike, when many child actors tend to over-act or seem overly precocious. 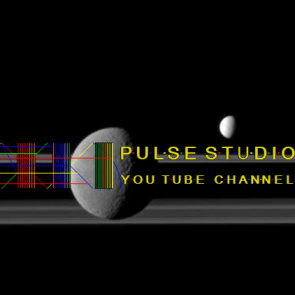 Posted by world.pulse on 17. January 2017.. Filed under Movies,Wim Wenders. You can follow any responses to this entry through the RSS 2.0. Both comments and pings are currently closed.